For the Larrousse team it became harder to survive during the 1994 season. The team was not able to update and develop the LH94, as there was no money left to invest. 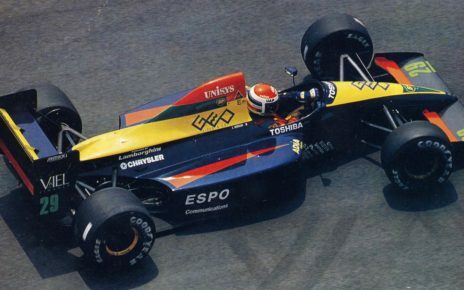 Besides the lack of finance, Érik Comas managed to score twice a point, though it was clear that it was a struggle to survive and to appear on the grid in 1994. A reconstruction of the last months of Team Larrousse in the Formula One. The 1994 season started well, while the team was already struggling, it seemed to become a reasonable season. Érik Comas managed to score a point during the second race by finishing sixth. He did the same during the German Grand Prix. However, it was known that the team was in serious troubles. Comas was the driver that drove all season expect the last race in Adelaide. The team had to choose for pay drivers. So Comas got replaced by Jean-Denis Délétraz. Oliver Beretta drove the first ten races before veteran Philippe Alliot (only during the Belgium Grand Prix) replaced him, Yannick Dalmas took the wheel during the Italian and Portuguese Grand Prix, as Japanese Hideki Noda would drive the last three races. During the winter the first rumours that the team would not participate during the 1995 season appeared. Gerard Larrousse denied these rumours, and told the media that Larrousse would be on the starting grid during the first race of 1995. It was clear that it would be a huge adventure to bring the team there. In early January 1995, the news spread that Gerard Larrousse was looking for a manufacturer that had already a Formula One car ready. As you could read previously Robin Herd designed the stillborn Larrousse LH95 at that moment he was the owner of Larrousse UK Ltd. The LH95 was ready and it was rumoured that at least one chassis was produced; I could not find any proof for this. The car was never build, as the Larrousse team had no money for it. Besides that, Robin Herd had left the company. In 1995 there were only two manufacturer Larrousse could go to. The first one was Lola. The company had completed their Lola T95/30 and Allan McNish tested the car. However, the car was a mix of 1994 and 1995 regulations. Besides that, both had a history with each other. In the early 1990’s Larrousse “forgot” to pay Lola for the car, they designed for the team. Therefore, it was not reasonable to think Lola would allow Larrousse to use their T95/30 design as base. The other manufacturer was the DAMS Formula 3000 team, which was interested to compete in the Formula One with their own car. DAMS announced previously they worked on their first Formula One design, and the DAMS DM-01 eventually was tested on several occasions. Gerard thought it would be a good idea if the DAMS team would run his Larrousse F1 operation for him, while using some design of his LH95. Rumours said that the chassis would come from Reynard, later It was known that this was the GD-01. No deal was established between Larrousse and DAMS. Gerard did not want to give the DAMS team total control of it. While DAMS also intended to buy out Gerard Larrousse. However, Gerard asked too much money for his team. 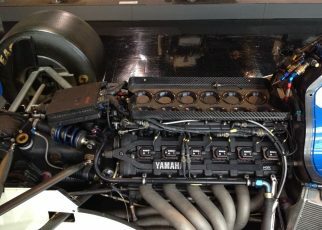 The only what was worth 1,3 million dollar where the F1 entry for 1995 and having qualified for FOCA travel benefits. It has to be said that DAMS was not in a hurry to enter the Formula One already in 1995. It was not sure if Larrousse would appear on the grid during the first Grand Prix, the FIA announced Larrousse on their official entry list in late January. The list below was issued on the 24th of March 1995, still with the team on it. Owner of DAMS, Jean-Paul Driot, announced on the 13th of February 1995 that he dismissed an eventual merge between both teams, and that he was focussing with DAMS on an F1 entry in 1996. As they needed more evaluation and testing time with the DAMS GD-01, and they got more time to find sponsoring as it became harder due the Evin Law that forbid to be sponsored by Tobacco or Alcoholics. This was not the news Gerard Larrousse was waiting for. 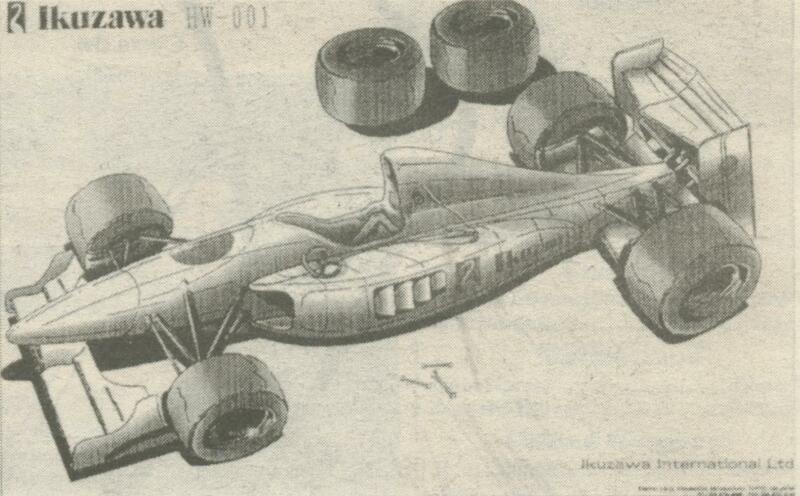 The design for the LH95 was already completed, but there was no time left to develop and build the car. In addition, Robin Herd would not allow the team to use his designs. Gerard kept on saying the team would appear during the first race of the new season, and asked Michel Tetu, Technical director, if he could upgrade the LH94, it would become the LH94B, to meet the 1995 regulations. It became clear that this was not the solution to keep Larrousse alive. The LH94 was basically an massively upgraded LH93. The LH93 was based on the LH92. It meant that the car was already three years old. 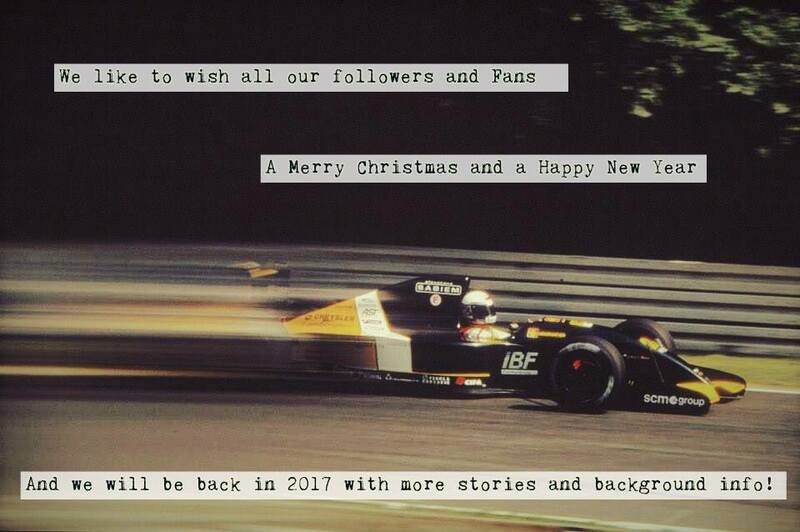 Larrousse UK Ltd, previously running the team and design the cars, vanished in thin air. 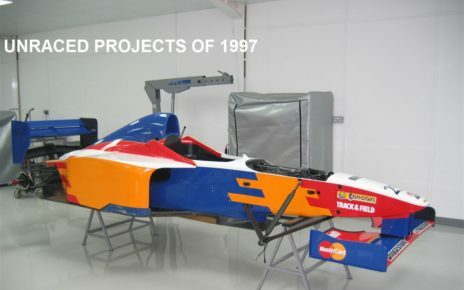 However, GenTech UK Ltd. came and hired the same people and the same office that Larrousse UK Ltd. used to have. The new organisation had an exclusive contract to consult and provide on-track service for the Forsythe Racing Indycar team that was running Teo Fabi in a Reynard Ford XB95I. The hope was still there for the team to survive. The men of the stillborn Junior Formula One Team Program, Jean Messaoudi and Laurent Barlesi backed Gerard. It was said that the Junior Team had a large percentage of the budget that Larrousse needed to survive in the Formula One, as their own project stranded due a lack of financial back up. For the percentage, left Gerard Larrousse went to the French authorities for financial support. Back then, the government of France liked it to have one French team in the Formula One. With Ligier sold to Briatore, Larrousse was the only legit French team left on the grid. The story would take quickly another turn; Gerard Larrousse decided to sell most of his shares in Larrousse. Frenchmen Jean Messaoudi and Laurent Barlesi held the majority shareholding in the team. The gents told the media that they created a new company for completing the Formula One cars. Their new design office, Racing Car Technologies Ltd. was situated in Bicester, UK. Former American engineer Steve Nichols headed the new company. Steve used to work with aerospace material before he entered the Autosport. He joined the design team of John Barnard, McLaren team in 1980. He played a huge role in building F1’s first composite Chassis the McLaren MP4/1. Besides the MP4/1 Nichols the person who developed the MP4/4 that won 15 of the 16 Grand Prix’s raced that season. He also worked for Ferrari, Sauber and Jordan. Larrousse, unofficially, changed its name to Junior Team Larrousse. The team stated that it was to quickly build their new car probably named JTL-01. Probably the team would use the blueprints of the Larrousse UK 1995 car, designed by Tino Belli. Normally this process would take months, while the new owners promised that the new car would make its debut during the San Marino GP at Imola. It is not sure which design they would use. Other drivers were rumoured as well. Érik Comas would return to the team while Christophe Bouchut would take the second car. In the meantime, Larrousse SA, the company that used to deal with the Larrousse F1 Team, remained in France’s equivalent of Chapter 11 Bankruptcy. It was still unclear if the Junior Team Larrousse would appear on the grid or not. It was also vague around the team’s financing rumours said that the team had enough money, while others said the team was bankrupt. The team announced, via a press release, their demise. It is more likely the team did this because they were still in financial negotiations with the French authorities. Because of the introduced Evin Law many French teams and drivers were not able to find enough sponsoring due it was forbidden to have Tobacco or Alcoholic sponsoring. However, Gerard kept on saying that his team would appear on the grid, even during the first race! After his statement, it seemed the team was vanished in thin air. However, in mid-April there was another sign of life from the team. The team announced they would be present at Imola for the San Marino Grand Prix. One thing became clear; the team would not appear on the grid. There was no contract with an engine supplier, not with a tyre supplier, no contracts with anyone. 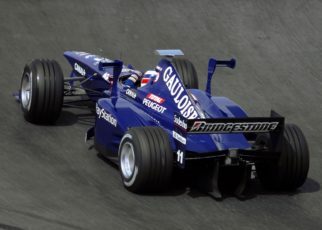 Already during the Argentine Grand Prix Ford’s F1 Boss Gillitzer said the follow; “If Larrousse wants to do business, the ground rules are set, No money, no engine! Still the team denied any of these, and announced a huge sponsor deal with the Malaysian oil company Petronas. However, the company would only put money in the team when the cars attempted their first Grand Prix. The only other information that was leaking out about the situation the team was in was not good as well. Former Partners of Larrousse Patrick Tambay and Michel Golay who bought 26% of the team’s shares in 1994 took legal actions against Gerard Larrousse in order to recoup their losses. Not long after Gerard Larrousse faced, after months, the reality and had announced that the Larrousse team, that only bears his name then, would not compete during the 1995 Formula One Season. Gerard Larrousse blamed everybody for failing except himself. The French regulations made it impossible to find new sponsors, and Bernie Ecclestone was asking too much money for skipping the first two races, approx. 1.6 million dollar, of the year. He even continued saying that Larrousse would be saved. He said that he was restructuring the Larrousse team to return to Formula One in 1996 with an brand new Larrousse LH96. Back then, it already seemed most unlikely to happen, and we know now it would never happen at all. 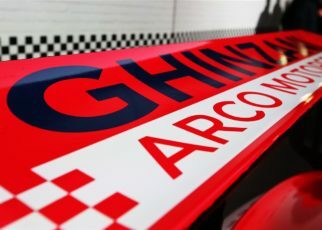 There were too much trial pending, as one of the team supplier, SAG Communications, had said that it intends to file a formal complaint against Larrousse with the French public prosecutor’s office, alleging fraud. It is a said ending of a once beloved team in the Formula One. 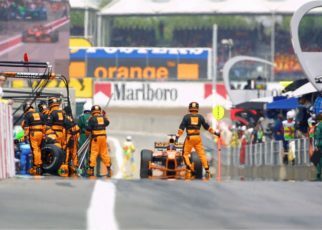 It also reflected the Motorsports situation in France during the mid-1990s when the Elvis Law was implemented and teams and drivers find it hard to find new sponsoring. Ghinzani; From Osella driver, to “almost” Osella owner!